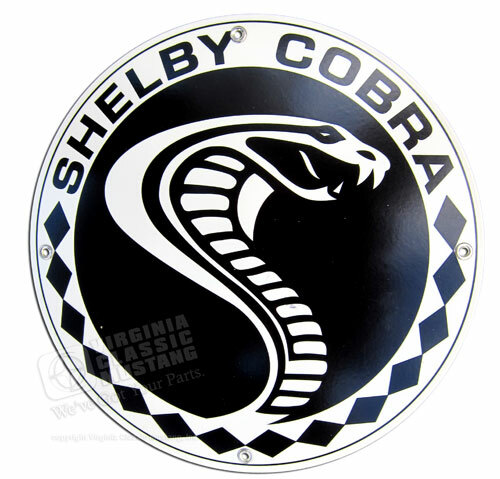 This is a Shelby licensed Shelby Cobra round Logo Metal Sign. The size is 12" round. It is made of 20 Gauge Metal with holes on the edges for easy mounting. The metal is powder coated, and the image is embedded with vibrant color.